Australis have been really hitting it out of the park recently, and have been releasing some amazing looking products. After the huge buzz that the Australis Contour Kit created, they delighted us with this gorgeous Bronzeyed Girl Eyeshadow Palette, which was released as a limited edition item available only in Big W. It then went on to become available in K-Mart (thankfully, as my local Big W does not stock cosmetics) so I was able to grab the last one left in store at my local K-Mart! I had incredibly high expectations for this palette just based on the hype that was surrounding it online. I usually find Australis can produce some real hit or miss products, particularly when it comes to eyeshadow, so I was praying that I would love this one. I mean, it's just bronze shades, you can't really go wrong. 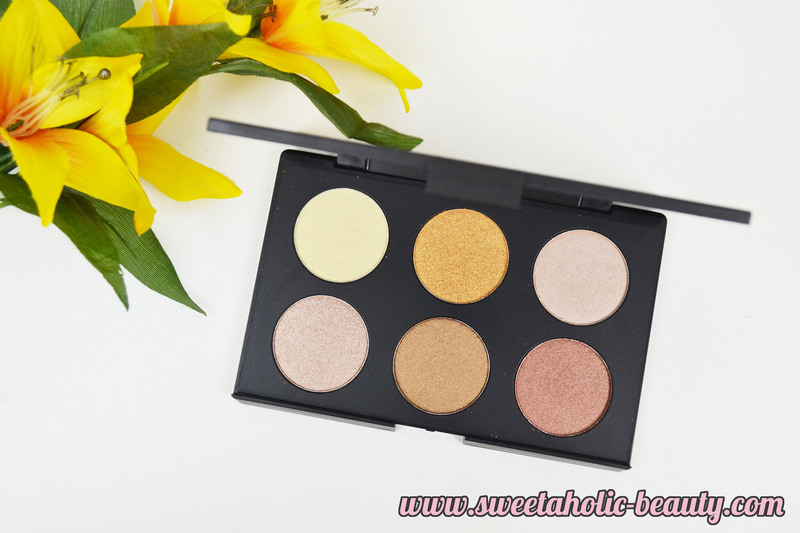 The palette itself contains six beautiful shades, ranging from highlighter type shades, to deeper bronze shades. The packaging was standard Australis - black and chic, with no mirror included. The size of the eyeshadow pans are on the larger size, so you do get a lot of product. Swatches - Dry. No primer used. Sadly the shades don't have names! 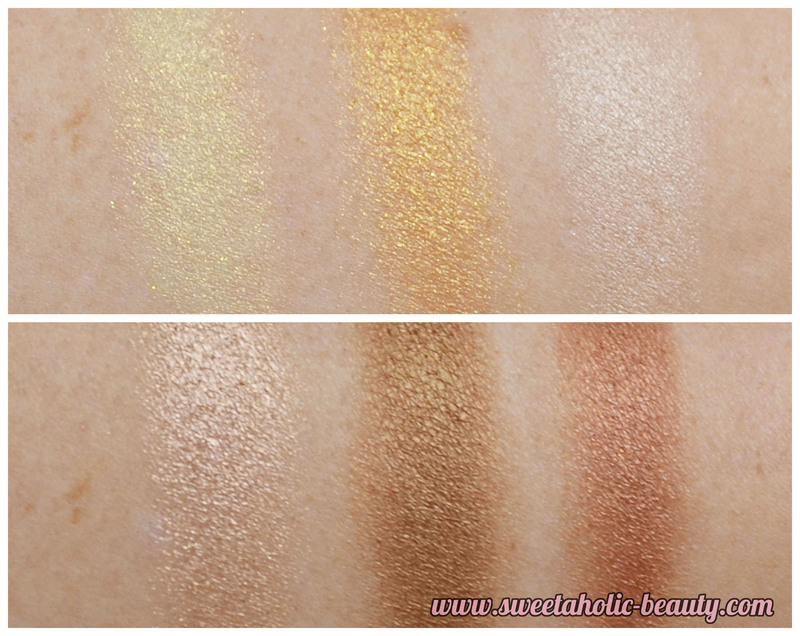 The first three shades are on the lighter side and are great to use as highlighter shades. The second row of shades are darker and more pigmented. My two favourites are the final two shades, as they are shades I would wear most days for an every day look. All shades are on shimmery, so if you're looking for something with a matte finish, you won't find it here. I found there was a little bit of fall-out, but that's to be expected with shimmery shades, so it didn't really bother me too much. At the end of the day, the Australis Bronzeyed Girl Eyeshadow Palette is a very pretty palette. The shades are gorgeous and the quality is above average. I think that a lot of these shades would work wonderfully with the new Australis Metallix Eyeshadows. However in saying all of that, the shades are not overly unique and if you already own a lot of bronze shades, you probably won't need this in your collection. 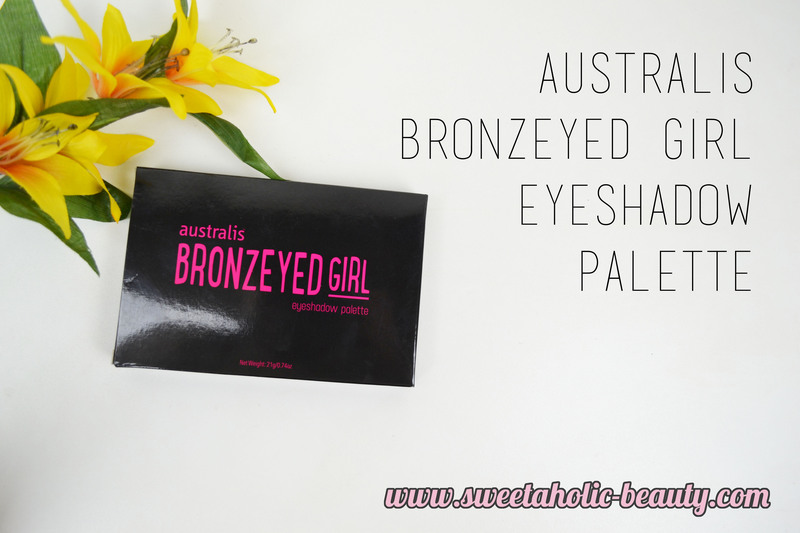 Have you tried the new Australis Bronzeyed Girl Eyeshadow Palette? If so, what are your thoughts? At only $9.99 this is a steal! Such gorgeously warm and shimmery shades! I usually go for cooler tones but I've been loving Australis' recent releases and this is seriously stunning! I expected there to be fall out too, when I started using mine. I find that a bit with Australis products, but they are really awesome otherwise! Looks really pretty, but as you mention, it's nothing Unique (shade wise) It does remind me a bit of my Essence all about sunrise palette, with similar Shades but the essence palette is even cheaper, and looks to be more pigmented. Thanks for the review, I have been curious about Australis for a while. It looks nice but I will give it a miss as I already have a ton of bronze eyeshadow! Thanks for your comment Melody, it is a very lovely comment. Great swatches! Definitely a pretty palette and well priced too!